Lukas has dedicated the past decade of his life to Oakland Kids First where he currently serves as the Executive Director. A third generation East Oaklander and proud graduate of Oakland public schools, lukas has committed himself to youth leadership and organizing work since he himself was a high school student. He is a proud alumni of Oakland Tech High School and University of California, Los Angeles (UCLA) and a veteran of youth development programs TryUMF, Youth Speaks, the Project YES! Counsil, and Youth Employment Partnership. 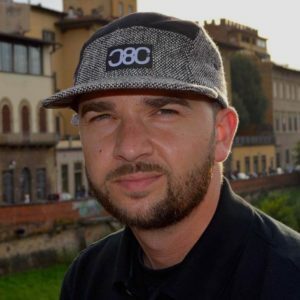 Lukas has served in virtually every role in his tenure at OKF – humbly serving the students of Oakland Tech, Castlemont, Fremont, McClymonds, and Oakland High Schools along the way. Lukas is also a writer whose work has been published in The Nation, Billboard, Giant Magazine, WireTap Mag, and Wine & Bowties, among others. 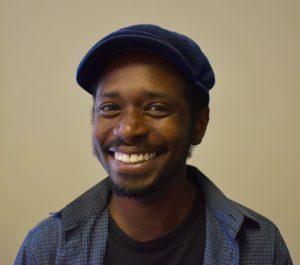 He was the founder and Editor-In-Chief of the now defunct Oakland Arts & Culture blog ’38th Notes’ (2008-2015), for which he won the “Oakland Soul” award at the 2013 Oakland Indie Awards. His forthcoming collection of poetry is entitled, Born & Razed: Oakland In Verse. 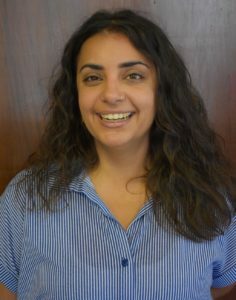 Kim has been with Oakland Kids First for over fifteen years. She secures resources to support the program, assists with program design and strategy, helps standardize and strengthen core curriculum, and works with district partners to expand the Engagement for Equity initiative. 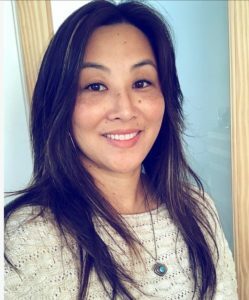 Kim has spent the past 19 years providing training, facilitation and coordination to numerous efforts to improve schools and communities in the Bay Area. As OKF’s Executive Director from 2000-2018, Kim brings comprehensive experience in curriculum design program development and implementation. Paloma oversees office operations, carries out human resources duties, helps develop and track budgets, and supports with fundraising and project management. She graduated from Oakland High School where she was involved in the very first cohort of REAL HARD, the Visual Arts Academy Magnet Program (VAAMP) and other youth leadership programming. Paloma attended Occidental College in Los Angeles where she focused on campus organizing and arts work. Later she focused on arts education work, stage managing in several productions at Casa 0101 in Boyle Heights, Los Angeles. She spent several years working at La Peña Cultural Center in Berkeley programming and managing events, and most recently worked as a Booking Coordinator and Community Health Liaison at Kaiser Permanente Educational Theatre in Oakland. Paloma’s passion for improving education systems in the country and around the globe drives her work and creativity. In her spare time she creates pen & ink creations, enjoys bike rides, and serves on the Board of La Peña Cultural Center. Christina implements the Teacher Fellowship Program and supports curriculum and materials development for PASS-2. Prior to her time at Oakland Kids First, Christina spent nearly a decade helping develop MetWest High School in OUSD from a new, teeny tiny alternative school to an established internship and project-based school, and started the arts and academic after school program with community collaborators and partnerships. Prior to that, she attended California Institute of the Arts (CalArts) in Valencia where she was introduced to community-based arts teaching through the CAP (California Arts Partnership) program and unearthed a deep passion for teaching (and learning through teaching) during her time at KAOS Projects in Leimert Park. Beyond that, you can find her DJing with the Sweater Funk crew, lettering late at night, and cooking and making endless things with her two incredible daughters. Originally from Compton, California, Brieana attended UCLA, where she first began to develop a passion for education and social justice. After earning her B.A. 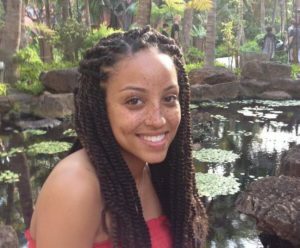 in Women’s Studies, she remained at UCLA to earn her teaching credential and Master’s in Education, while completing her first year as an English teacher in the Watts area of Los Angeles. Having a strong desire to serve young people in marginalized communities as a public school teacher, she moved to the Bay Area with her husband and young daughter in 2012 to teach at Castlemont High School, where she served as an English teacher for 5 years, before transitioning into her current role. 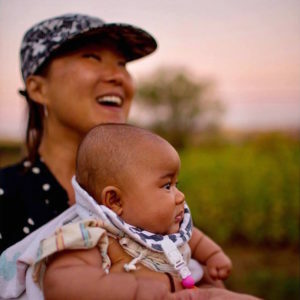 In her free time, Brieana enjoys spending time with her two daughters, Khalila and Rani, as well as dedicating time to creating handcrafted jewelry and accessories. A life long learner and educator, Peter earned a degree in Ethnic Studies at the University of Oregon. 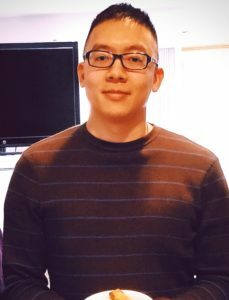 As a child of Chinese-Vietnamese refugees from the Vietnam War, Peter’s passion for justice work developed at a young age. Peter and his sister are the first in their family to complete college. It was this journey that pushed Peter to continue his work; as an educator he seeks to help other young people access education and think critically about the world around them. Peter taught in Sacramento as an English teacher before transitioning into his current role as Program Manager. Peter runs PASS-2 and REAL HARD at Fremont High School, develops school culture, and writes curriculum for Oakland Kids First programs. In his spare time, you will find Peter learning how to cook, at restaurant, or learning another language. Originally from Portland, he is a Blazermaniac for life. 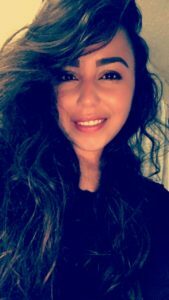 Born and raised in the Bay Area, Sabaa joined Oakland Kids First as Community Program Manager at Castlemont High School in June of 2018. Prior to coming to Oakland Kids First, Sabaa served as the Community Program Manger with Alternatives in Action at Life Academy, Career Pathways Manager at Youth Uprising and Director of Administration and Finance at Institute for Sustainable Education Economic and Environmental Design. Sabaa has lived and worked in Oakland for the past 15 years. Roxana leads the Youth Organizing Council as well as the Queer Student Union and REAL HARD after school youth leadership development program at Castlemont High School. Roxana started working at Oakland Kids First as an intern in the Meaningful Student and Family Engagement initiative supporting the school committees, engagement forums, and Parent Leads cohort. Roxana grew up in South Central, Los Angeles, after migrating from El Salvador in 1998. From a young age, Roxana loved building community and became aware of the disparities among working class and low income communities of color. She revamped as a passionate community leader and learned to critically analyze intersectional social structures of oppression including: homophobia, xenophobia, inequity within the public education system, immigrant rights, and displacement due to modern-day colonialism. 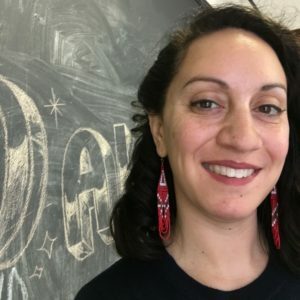 Roxana has experience facilitating workshops discussing lack of equity in schools, the ways that the School to Prison Pipeline shows up in schools, LGBTQIA+ rights, tenant rights, and Know Your Rights workshops catered to the undocumented community. Domenichi implements the REAL HARD youth leadership development program at Oakland High School and Oakland Tech. He is originally from Chicago where he worked with youth in various capacities for over a decade.